Defence Research and Development Organisation has a 01 vacancy for the post of Junior Research Fellowship. 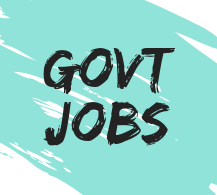 This is a latest govt jobs under drdo recruitment 2018 through GATE / NET for the CS / IT Engineers. Here you will see the full update about the new sarkari naukri with application fees, pay scale, notification and much more. Education Qualification → Bachelor Degree in Engineering / Technology (B.Tech / B.E) with NET / GATE. Stipend → 25,000 Rs per Month. Duration → Initially 2 years. Maximum Age Limit → 28 Years.